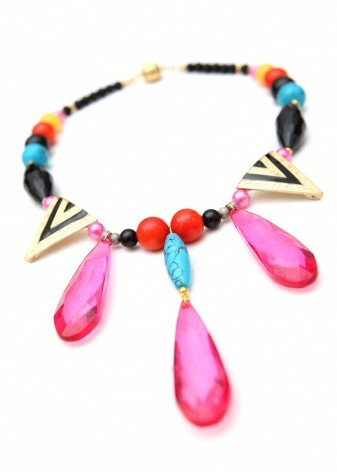 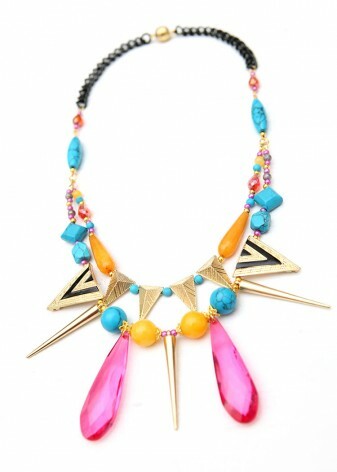 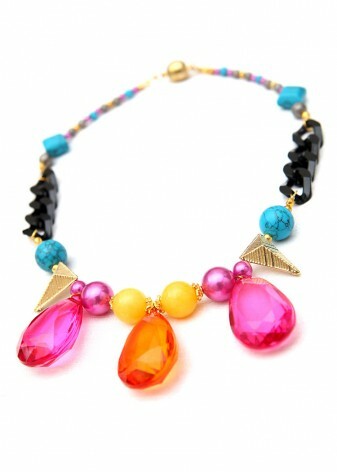 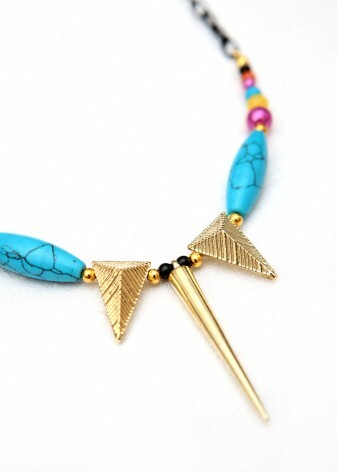 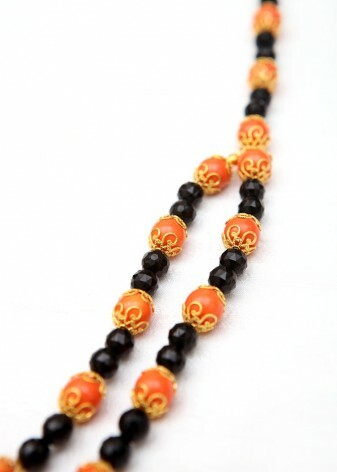 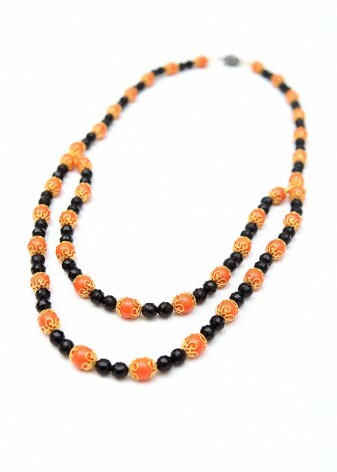 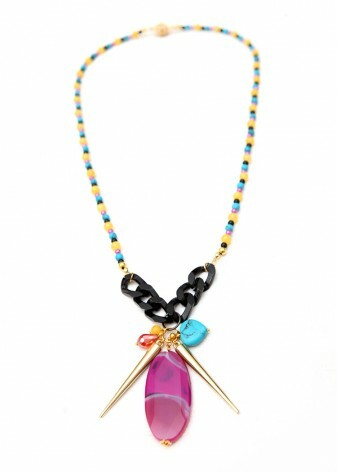 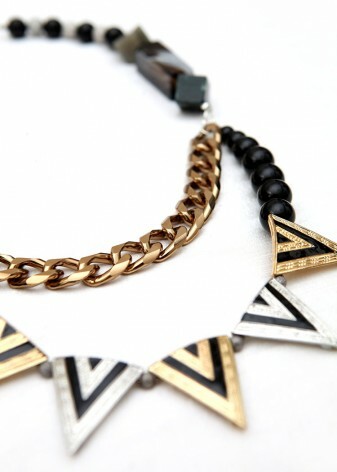 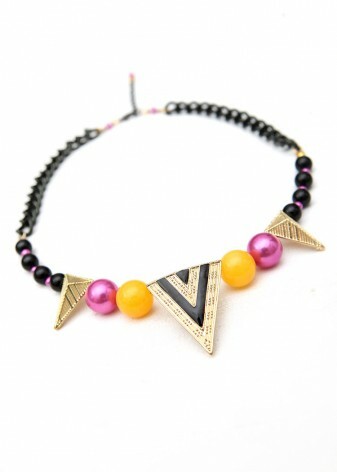 It is hailed as fashion’s saviour colour, so be style savvy in one of DIWAH’s individual black beaded necklaces. 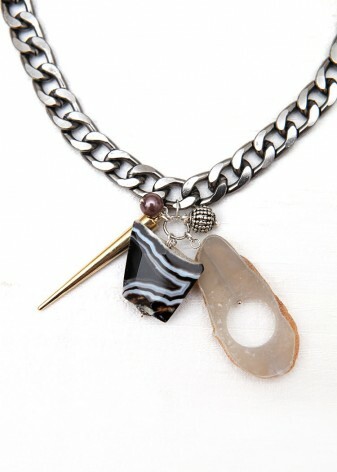 Every season and all occasions will suit this piece, no matter what shape or style you choose. 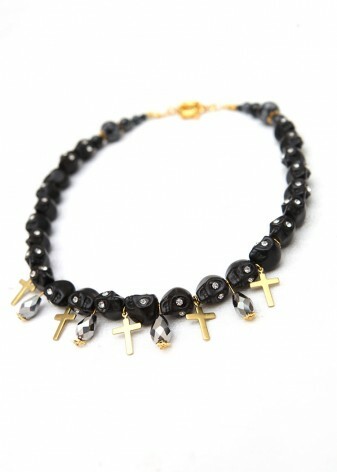 Add drama to a simple dress with beads of jet black, to achieve the sophistication you deserve. 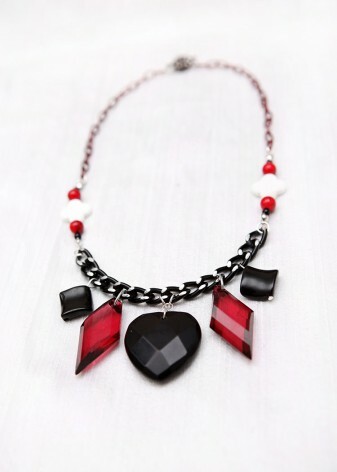 Black goes hand in hand with style, so a simple black beaded necklace will match everything in your wardrobe; you’ll be ready for any accessory block in the morning. 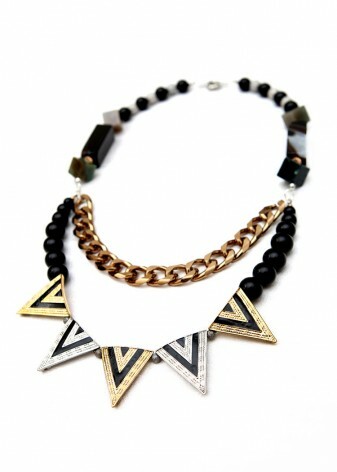 At DIWAH we also love the many green hues our components come in for a little bit of glamour. 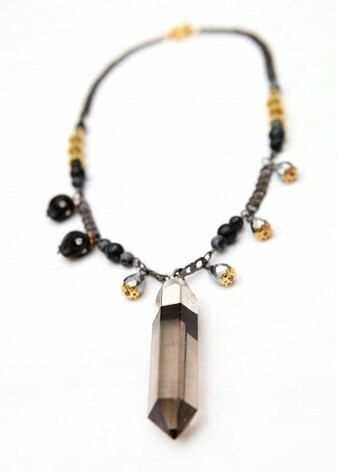 The understated elegance of this necklace will compliment your most outlandish outfit, meaning you can dress up as playfully as your closet allows. 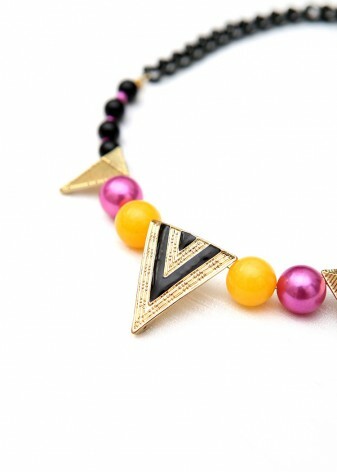 Add a pop of yellow to really brighten a little black dress. 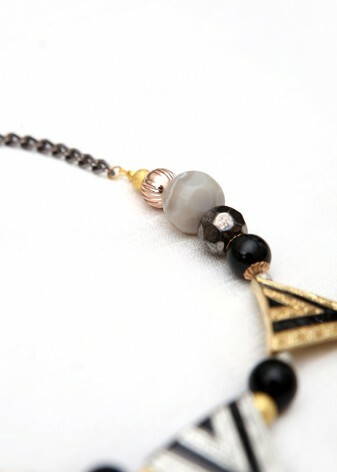 Mix with white beaded jewellery for a monochrome look. 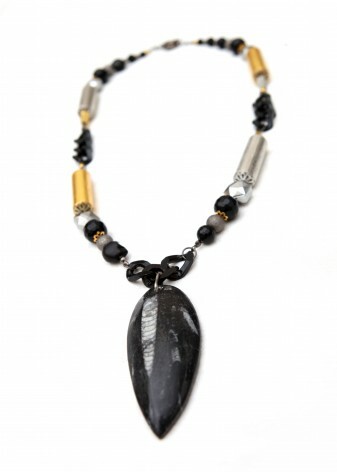 Black jewellery is synonymous with sophistication, so these semi-precious beads will add an opulent feel to any occasion outfit, making even the plainest dress into an alluring style statement for a night to remember. 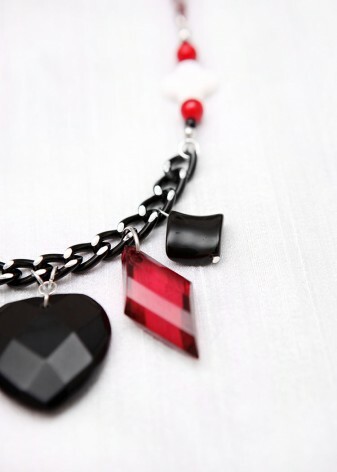 Team black with a red beads to add a sultry feel to your look. 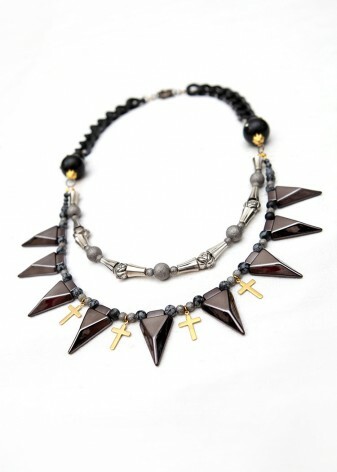 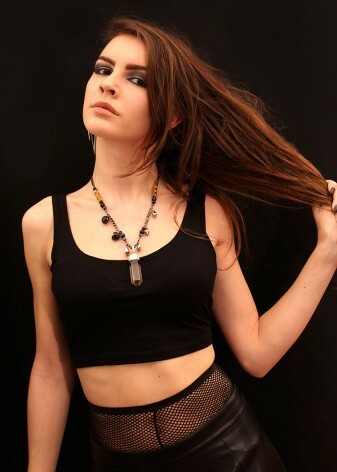 Black jewellery is often paired with darker colours as this is seen as the classic look, however, why not try adding darker hued jewellery to brighter clothing for a twist on the little black necklace. 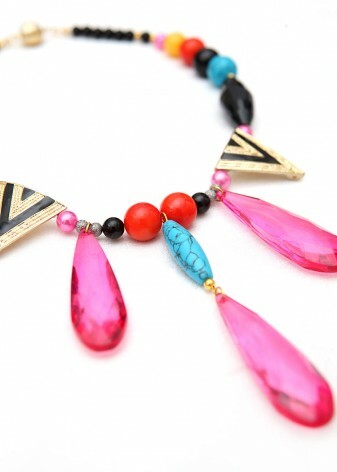 Pink works well for a more casual colour clash. 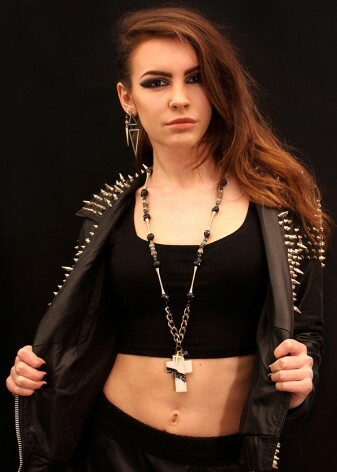 This can give a more dramatic appearance, whilst subverting the expectations of the fashion pack, to lent your own individuality to a style staple. 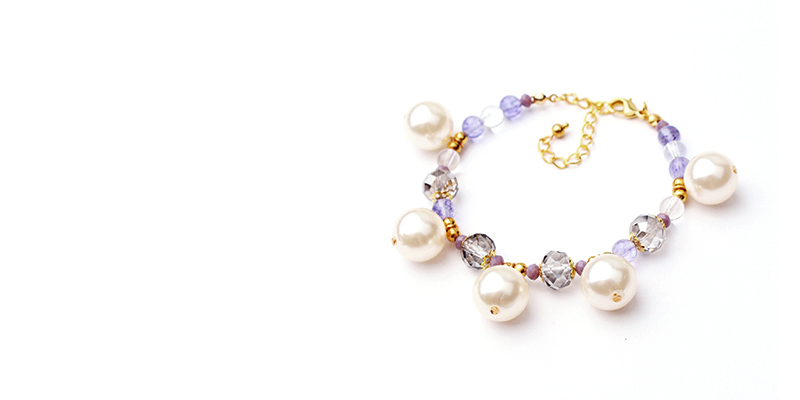 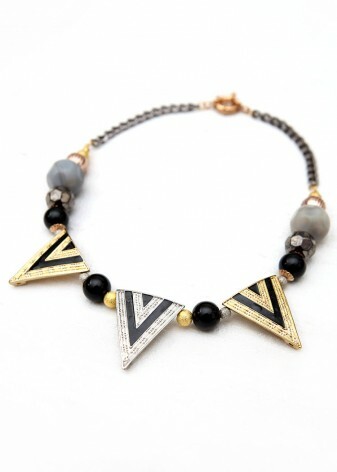 A navy blue necklace, or a faceted deep purple also works well for added drama. 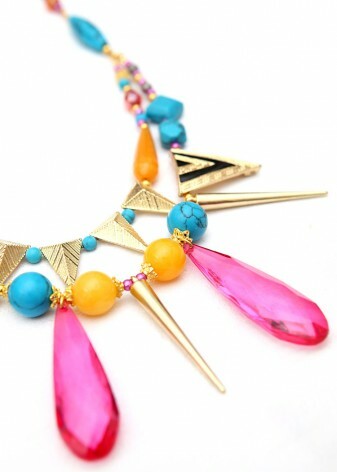 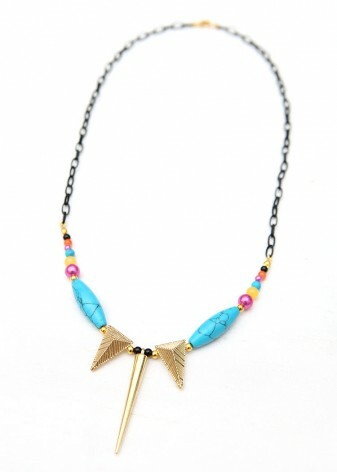 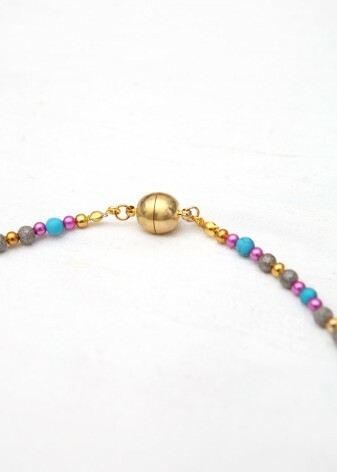 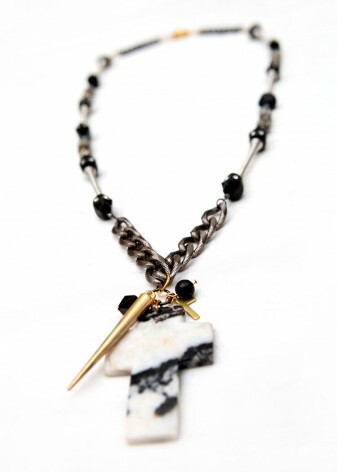 To match Traditional or eclectic, the simplicity of this necklace puts it in a league of its own.